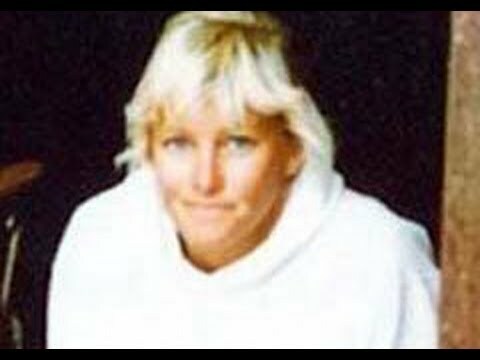 American serial killer, Dana Sue Gray was born on December 6, 1957, in southern California to her mother, Beverly, and father, Russell Armbrust who named her Dana Sue Armbrust. Her father was a hairdresser who was married three times before he married Beverly. Dana"s mother was an aggressive woman and was a former beauty queen before Russell married her. Beverly and Russell had many miscarriages before Dana. Russell divorced Beverly when Dana was two-years-old after he saw her grappling an older woman. Dana did not see her father much after her parent"s divorce and began acting up to get attention. Dana would steal money to buy candy and go into rages of violence when her mother tried to discipline her. Dana did not get along with many of the students and did not receive good grades. She forged several notes to get out of class and was suspended on many occasions for doing so. Her mother was diagnosed with breast cancer when Dana was 14-years-old, and Dana decided to become a nurse after watching the nurses take care of her mother. She moved in with her father after her mother died but did not stay a long time living with her father because they forced her to leave after her stepmother found drugs in her bedroom. Dana became pregnant twice by a skydiving instructor, Rob a few years later but he convinced her to abort the pregnancies which she resented doing. Dana graduated in 1976 from Newport Harbor High School and lived with Rob for a few years. She attended nursing school during that time with the help of Rob and graduated in 1981. Dana eventually became an expert skydiver. She began having a relationship with Chris Dodson for the next few years, but it was a relationship that was off and on numerous times. Chris was a windsurfer, and Dana also excelled in windsurfing and golf as time progressed. Dana and Chris took several trips to Hawaii so that they could participate in those activities. Dana Gray married Tom Gray in October 1987 at an upscale winery in Temecula. Tom was also a fan of sports and admired Dana since high school, but Dana summed up an enormous debt not too long after they got married. Dana worked at Inland Valley Regional Medical Center as a labor and delivery nurse. Tom and Dana used the name Graymatter to have several business ventures in their gated community, Canyon Lake. Dana left Tom in the early part of 1993 and moved in with their friend, Jim Wilkins, and his son Jason. She filed for divorce from Tom in June 1993, but their divorce was finalized after she was imprisoned. Dana and Tom filed for bankruptcy in September 1993 so that they could avoid their Canyon Lake house from going into foreclosure. Dana was fired from the hospital she worked for on November 24, 1993, for embezzling Demerol and other types of opiate painkillers. Tom Gray stayed away from Dana and did not give her his phone number or address, so she told his parents on February 14, 1994, to tell Tom that she wants to talk to him. Tom agreed to meet her, but he did not show up, so I assume that Dana took out her anger on the elderly lady, Norma Davis she was living with by murdering her. Tom Gray found out some time later that Dana took out an insurance policy on him before their divorce and it was enough money to pay off the Canyon Lake house debt. Dana murdered three elderly females in 1994 and attempted to kill her fourth victim, but she survived Dana"s attack and informed police and identified her. Dana confessed to her murders and said she only killed her victims so that she can pay for/support her spending habits. It is believed that Dana"s first victim was Norma Davis but Dana was not convicted of her murder because there was not enough evidence. Dana"s father, Russell married Jeri Davis in 1988 and Norma was Jeri"s mother-in-law. Jeri took care of Norma although she married Russell after her first husband, Bill died in the early 1980s. Norma"s neighbor, Alice Williams found Norma"s body on February 16, 1994, but she had been dead for two days. Norma was found with a wooden handled utility knife poking out of her throat, and a fillet knife protruding from her chest. She had no other marks on her body except for a few fingernails broken. There was a bloodied Afghan at Norma"s feet. Detectives saw that there was no forced entry and learned from that Norma always kept her doors closed and only let those who she knew enter her home in Canyon Lake gated community. Alice told officials that Norma did not tell her that she was expecting any visitors. A Nike shoe print was found towards the kitchen, and Norma"s Social Security check of $148 was found by the detectives. A smear of blood was found on an armchair on the first floor along with the phone cord ripped out. June Roberts also lived in Canyon Lakes gated community and was visited by Dana on February 28, 1994, which is the same day Dana murdered her. Dana asked June to borrow a book on how to control her drinking problem. Dana unplugged both of June"s phones while June was looking for the book. Dana used the curly phone cord instead of the straight phone cord to strangle June, then stole two of her credit cards and went on a massive shopping spree in Temecula. Dorinda Hawkins was working alone on March 10, 1994, at an antique store when Dana entered the store to buy a picture frame to put her deceased mother"s photo. Dana used a phone cord to strangle Dorinda and stole $5 from Dorinda"s purse and $20 from the register. Dana went on a shopping spree about an hour after with June Robert"s credit card. Dorinda survived Dana"s attack and informed officers of her attack and gave them a description of Dana Gray. Dorinda"s story was in the newspaper the next day with a description of Dana Gray. Dora arrived home from a doctor"s appointment on March 16, 1994, and Dana knocked on her door not too long after asking Dora for directions. Dora invited Dana inside to take a look at her map, and that is when Dana killed Dora. Dora"s boyfriend, Louis Dormand, of eight years discovered her body later that day when he visited her. Dana went on a shopping spree about an hour later with Dora"s credit card. Canyon Lake residents were terrified resulting in some of them to move in with other relatives/friends until the killer was found and the murders were solved. Some people believed that there was safety in numbers leading to some elderly widows getting together in big groups at allocated houses. The supervisor in charge of the detectives wanted to use a psychic to find the murderer because they were having a hard time finding a suspect. The detectives had found a few suspects before they thought of Dana Gray. Detectives suspected Jeri Armbrust of murdering Norma Davis because they learned that Jeri was once married to Norma"s son, but she took care of Norma after Norma"s son died. Norma Davis was not that healthy when she was killed as she was recovering from a triple bypass surgery. Jeri Armbrust was wearing Nike sneakers, and the detectives found it very strange for a person to take care of someone else that they are no longer related to. The detectives also suspected Jeri because she was at Norma"s house the Sunday before Norma"s murder. Jeri stated that she dropped off some groceries at Norma"s home and heard the TV upstairs but did not bother to go and say hi to Norma, she just left the groceries and headed home. Lead investigator Detective Joseph Greco of the Perris Police Department realized that Jeri is not their suspect after speaking to her for several weeks. Joseph and Jeri became friends and started to help each other in the case/investigation which was a good thing because the case was solved faster with Jeri"s help. Detective Joseph Greco was the head of Norma Davis and June Robert"s deaths. Joseph figured that Norma and June"s murder was committed by the same killer as the evidence points out that it was one female serial killer that murdered the victims. Joseph issued a search warrant for Dana Sue Gray home in Lake Elsinore, California after he suspected her of being the murderer. Dana was out that day killing Dora Beebe. Joseph arrested Dana Sue Gray at her home"s front porch for murdering June Roberts. Officials found information in Dana"s home regarding June Roberts, Dora Beebe (her credit card in Dana"s sock drawer) and Dorinda Hawkins, who identified Dana in a photo lineup. Dana Gray pleaded guilty to life in prison without the possibility of parole and waived all of her rights because there was a lot of strong circumstantial evidence against her and she did not want the death penalty. She requested that the State not to prosecute her for Norma Davis" murder. Deputy DA Richard Bentley requested on July 23 for Dana to receive the death penalty and Dana Gray pleaded insanity on all counts. A witness claimed to see Dana at June"s house on the day June was murdered which led Dana to plead guilty to avoid receiving the death penalty. Dana Sue Gray was sentenced to life imprisonment on October 16, 1998, without parole and she served her sentence at the California Women"s Prison in Chowchilla. Dana Sue Gray serial killer is a female serial killer.